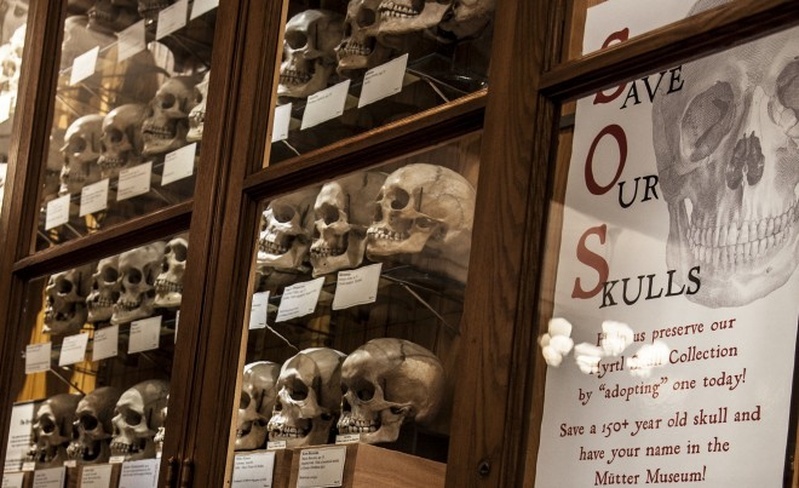 The Mütter Museum in Philadelphia wants you to adopt a skull. Among their strange and fascinating collection of medical artifacts and anatomical specimens is a collection of 139 skulls collected in the 1800s by Viennese anatomist Joseph Hyrtl, who was trying to debunk the then-popular pseudoscience of phrenology. Your $200 donation pays for the initial restoration and remounting of a skull of your choosing, and gets your name on a small plaque next to your adopted skull for the next year.